Whatever you age you will see people coming and going all the time. Some will leave to start new jobs, others will come in to fill their place before moving on themselves and it is hard to build a friendship with a colleague in the world of modern business. You will only really become attached to those who have been there the same length of time, or even longer, than yourself, and when the time comes for them to retire you will really miss them. There will be the customary card everyone signs, maybe the presentation of a gift and that will be it. If you want to send your own greeting that lightens the mood a bit these Barley Thoughts business ecards fit the bill perfectly. The image of the field of barley represents the freedom of not working any more but at the same shows that there is still work of another type to be done, be it sowing the crops or whatever else they have lined up to fill their days. 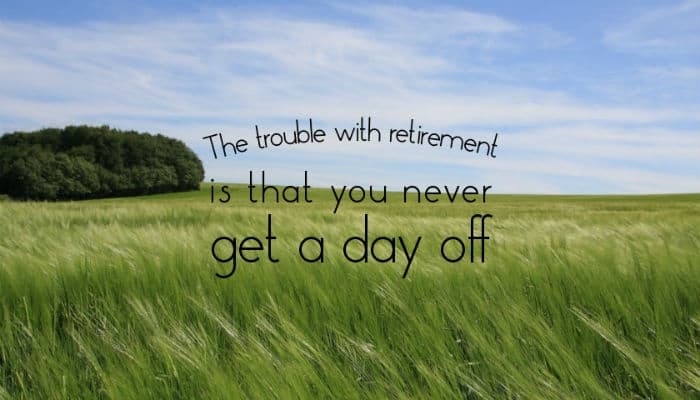 The legend on the card reads “The problem with retirement is that you never get a day off”. Add a personal message and this will be one message the retiree will never forget. Sending corporate holiday ecards to clients for the Christmas holiday season couldn’t be easier than with Ecard Shack, go check out our portfolio.